We “Alpanna Kreation” are well known company affianced in manufacturing, wholesaling and supplying a designer range of Embroidered Ladies Kurtis, Fancy Ladies Kurtis, Designer Ladies Kurtis,Ladies Suits, etc. 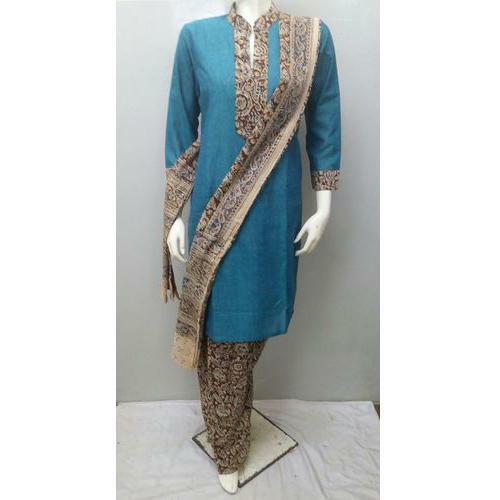 Since our establishment in the year 2005, we are providing the best in class Kurtis and suits in accordance with the latest trends prevailing in the market. Situated at Pune (Maharashtra, India), we are backed by advanced infrastructural base that spreads over a wide area and assists us in the designing process of premium quality Kurtis and suits. Our infrastructural unit is properly segregated into numerous departments such as procurement, designing, quality testing, warehousing & packaging and sales & marketing. We have recruited a team of skilled and experienced professionals to run departments in an efficient and proper manner. Our professionals are highly devoted towards their work and strive hard to accomplish the particular needs of our prestigious clients precise within stipulated time frame. Besides, we are recognized among our esteemed clients due to our transparent dealing, ethical business policies, prompt delivery and vast distribution network. We are offering our products under the brand name Alpanna.